Harry Kane and Dele Alli scored twice each to fire Tottenham to a thumping 4-1 victory over Watford and into the Premier League's top four. Spurs were three up at half-time thanks to Kane's double and Alli's first, before the latter capitalised on some more dreadful Watford defending to secure an emphatic win at Vicarage Road. Younes Kaboul added a late consolation for the Hornets. The result means Mauricio Pochettino's men climb above Manchester City on goal difference and carry valuable momentum into Wednesday's crunch clash at home to Chelsea. Antonio Conte's league leaders, who sit 10 points clear of Tottenham, head to White Hart Lane chasing a Premier League record 14th consecutive victory. Spurs will need no added motivation to deny them that mark, particularly after it was Chelsea who ended their own hopes of winning the title last season, and they certainly pose a threat, having now won six out of their last seven in all competitions. Kane and Alli's combined attacking force was crucial to their challenge last term - together they scored and assisted 50 goals in the league - and their chemistry reigniting here against a fragile Watford side will have been almost as pleasing for Pochettino as the scoreline. Watford, who are hamstrung by a number of injuries, certainly contributed to their own downfall with some comically poor defending. Walter Mazzarri's men drop to 13th and have kept only three clean sheets in their last 24 league games. Tottenham should have had a penalty early on when Christian Eriksen's shot struck the outstretched hand of Etienne Capoue but referee Michael Oliver waved away their appeals. The visitors dominated the opening half an hour and Danny Rose almost finished off an excellent counter-attacking move that began with Kane twisting away from Adlene Guedioura and ended with Alli dummying Eriksen's pass. Rose, however, arriving behind him, fired over with his weaker right foot. 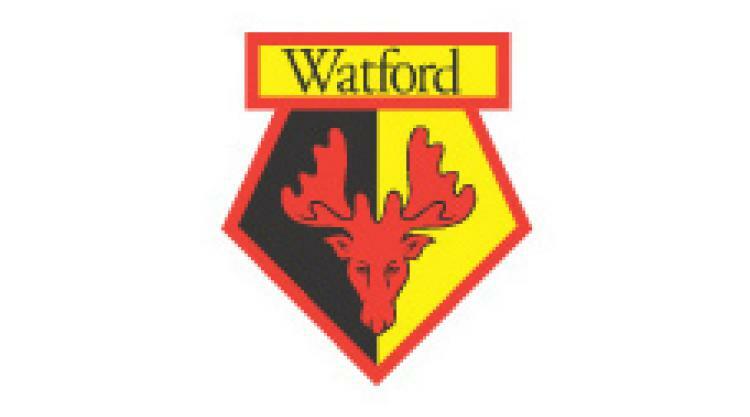 Watford hassled and harried but they looked exhausted after half an hour, with Spurs finally making their pressure pay in the form of three goals in 14 minutes. Moments after Alli had rattled the cross-bar with a fizzing shot from 25 yards, the excellent Kieran Trippier promptly slid Kane in behind a dozing Jose Holebas and Kane lifted the ball over Heurelho Gomes at the near post. Six minutes later it was two, the same trio combining again, as Alli looped a pass out wide to Trippier, who whipped a half-volleyed cross to the back post where Kane beat Craig Cathcart to side-foot home. Son Heung-min, unmarked at the near post, should then have steered in Eriksen's free-kick but the chances were so frequent, it was no surprise when Alli made it three four minutes before the interval. First, Kaboul scuffed a clearance into the unsuspecting Cathcart, who was then outmuscled by Alli, the midfielder passing the ball into the bottom right-hand corner. The half-time whistle was greeted by boos from Watford supporters and Hugo Lloris appeared almost apologetic as he hung an arm around fellow Frenchman and former team-mate Capoue as they trudged off. The home fans' discontent, however, had little impact as, 61 seconds after the restart, Spurs made it four. Sebastian Prodl gifted the ball to Kane, who crossed to the back post, where Alli had time to control and slide under Gomes. Son Heung-min had chances to deepen Watford's humiliation, blazing over from the angle after Kane's neat ball through and then taking too long to shoot when set free into the penalty area with 20 minutes left. There was time for a late Watford consolation when Kaboul bundled the ball in from close range. The home fans' exaggerated cheers, however, said the result had long been beyond doubt.